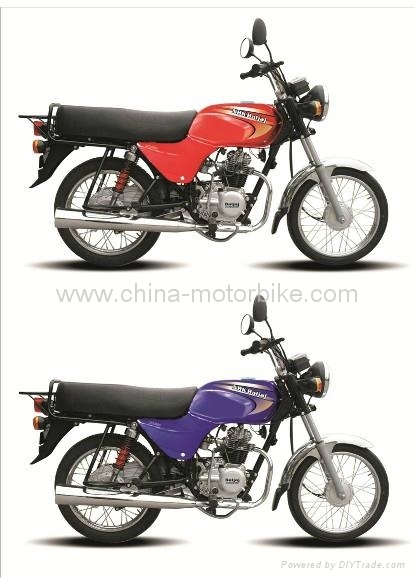 Type: Air cooled, 4 stroke, single cylinder, vertical. Lubrication: Pressure splash Gearshift: intl. Front & Rear: Hydraulic damping shock absorber / hydraulic absorber with outer spring.